​​Many bike commuters take the first step in unleashing the power of their smartphone for their commute by mounting it to the top of their handlebars but then use this newfound power mostly to check social media and email on the way into work. Instead, why not take advantage of the ability of your phone to serve as an extremely accurate GPS and use it to find crowd-sourced bike routes and other tips that can improve your commute? Bike apps span the range from simply tracking your ride so that you can brag to your friends and colleagues, to helping you find new routes and avoid traffic when the roads get busy. Plus, some apps aren't biked specific – like those about the weather – that can make a huge difference in planning your commute. This article will cover 14 of the best smartphone apps that can help you improve your daily ride to work. ​​Strava has exploded in popularity among not only cyclists but runners and most other outdoor athletes. The reason is that in addition to tracking your ride and offering information such as distance and speed, the app brings your daily commute into the world of social media. Strava has its own social feeds so you can compare your commute and speed against that of friends, and the app integrates with Facebook so you can publish your ride directly to your profile. Strava can be linked to any cadence or power meters you have on your bike, as well as a heart rate monitor if you ride with one. In addition, Strava has several premium subscription features that cost $2.99 per month each that allow you to incorporate a designed training plan into your rides or to get detailed analysis on your efforts and improvement over time. Another major advantage of Strava is the route-planning features built into the app. Strava uses data from all its users to generate a heat map of common routes, which can make it easy to quickly identify which roads in your area are popular among cyclists – usually an indication that they have wide bike lanes or relatively low traffic. You can also map out routes in the app to see potential elevation changes and distances. 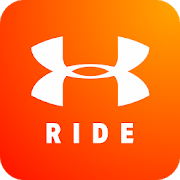 ​​Map My Ride is a direct competitor to Strava and offers many similar features, most notably mirroring the social aspects of Strava by allowing you to compare your ride with friends’ commutes and share your rides via social media. The app integrates with any analysis tools you may have on your bike and can be used as a live GPS to provide turn-by-turn directions when your phone is mounted on your handlebars. The route planning tools within Map My Ride are arguably better than those in Strava, in part because the app has been around for longer and in part because it provides exploratory features designed to help you find routes in different areas of the country – which can be quite helpful if you are considering a move and want to see how your commute route would look. 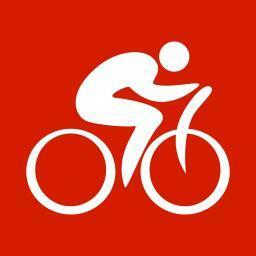 ​Cyclemeter offers many of the same features as Strava and Map My Run but provides more on-screen information for those who prefer to ride with their phone mounted to their handlebars. The screen includes graphs of speed and elevation, as well as information about cadence, power, and distance. One advantage to the app is that it can provide audio alerts about key metrics as well as for turn-by-turn directions if you have programmed in a route. 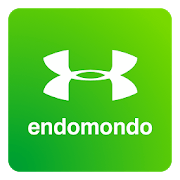 ​​​Compared to the other major ride tracking and route mapping apps, Endomondo opts for simplicity. 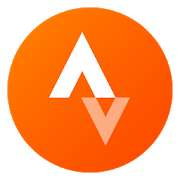 It has many of the same features as Strava and Map My Run but lacks the social aspect and keeps all of its information on a few graphics display screens with none of the complex graphs that the other apps favor. One advantage to Endomondo is that the app keeps a running log of all your training, which makes it easy to go back and see how your commute has evolved. 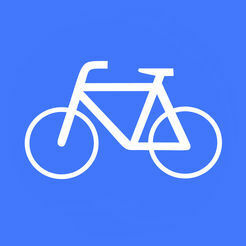 ​​​The classic mapping app, Google Maps has a full-fledged bike route mapping tool built in. 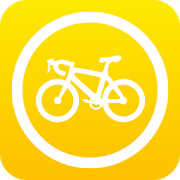 Although the estimated arrival times may be off depending on how fast or slow your bike, this app is perfect for quickly identifying the shortest route between your home and work. 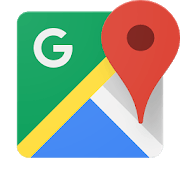 Google Maps is excellent to keep on your phone since it displays live traffic updates and suggests alternative routes when your planned route becomes clogged with traffic. ​​​CycleMaps is a route planner designed specifically for cyclists, with all of the features you need to find routes and add your own. 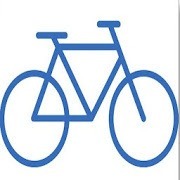 The app keeps a database of user routes that makes it easy to discover new places to ride your bike as well as highlights bike paths on the map. You can also store favorite routes within the app and upload GPX or KML files to craft your own custom route and then use the app for turn-by-turn directions. The app is only available on iOS at this time. ​Does your regular coffee shop have a line out the door one morning? 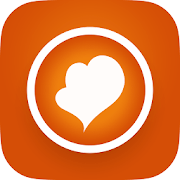 Beanhunter can help with that – this app keeps a user-added database of local coffee shops and cafes that can be quickly searched or displayed on a map. Many of the cafes in the app have photos, reviews, and ratings contributed by users, and you can add your own if you visit a new location. Note that the app opens your default mapping application when navigating to a selected coffee shop. ​​​​Having a good bike fit is critical for enjoying a comfortable and efficient commute as well as for staying injury-free during your ride. Taking your bike to the local shop to get a professional fit can be expensive, though, which is where Size My Bike comes in. 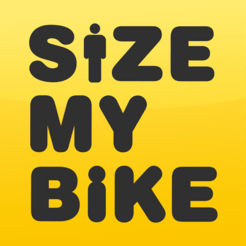 This app takes six body measurements – which you can make on yourself with a tailor’s tape measure – and a series of measurements on your bike to make recommendations about how to place your seat, pedals, and handlebars for an optimal fit. 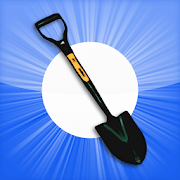 Note that the app costs $1.99 and is only available on iOS at this time. ​​​​Apps like Size My Bike are great if you want to take the time to measure yourself and your bike, but Bike Fast Fit is perfect for dialing in a quick fit and getting out on the road. This app uses your phone’s camera to take video of you riding on a trainer, making suggestions about your body angle and bike fit by comparison to an ideal rider. The app is only available for iPhones at this time and costs $4.99 – still significantly cheaper than a professional bike fit. ​​Bike Doctor makes it easy to take repairs into your own hands rather than visiting the local bike shop, whether you’re at home in your garage or on the side of the road. The app includes step-by-step instructions, complete with photos, for how to perform the most common maintenance tasks – fixing a flat, adjusting your shifters, tightening your brake cables, and more. Although the app costs $4.99 on iOS and $2.57 on Android, it’s still cheaper than paying a mechanic for minor repairs. ​​​​​Knowing with some confidence whether it’s going to rain during your morning commute is important – it will determine whether you wear a rain jacket and rain pants, or whether you even get on your bike or opt for a car or public transit for the day. 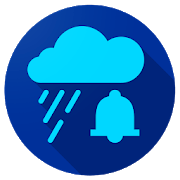 The Rain Alarm map simplifies whether to give you a straight answer to the question of whether it will rain by displaying a simple radar screen rather than a forecast you need to interpret yourself. The app will also use your location to alert you if a rainstorm is approaching. 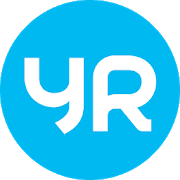 ​If you’re looking for the most accurate possible weather forecast with a simple, intuitive interface, it’s hard to beat YR.NO. This Norwegian app uses European weather models, which tend to be more accurate at predicting the weather than American models – even in the US itself. The app has limited functionality for predicting weather more than a few days ahead, but most commuters won’t miss the long-term forecast when trying to decide what to wear in the morning. ​​​​​​Potholes can be extremely dangerous to cyclists, who in turn have been known to complain vociferously about the poor conditions of local roads. But do those complaints to your friends or on Strava ever reach the ears of your local town council – the people whose job it is to fix the potholes? Fill That Hole allows UK cyclists to report potholes right from the phone while you’re standing beside the pothole, including details like location, size, and hazard level. ​An extremely handy app for commuters who ride a single-speed or fixed-gear bike, Bike Gear Calculator calculates your speed for a given cadence. The calculator simply needs to know your wheel size and chainring and sprocket combination. 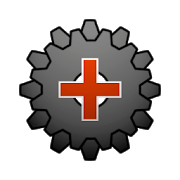 The calculator can also be used for geared bikes to evaluate how fast you could travel and what cadences would be required for different large and small cogs.